Today is 5th June, World Environment Day. 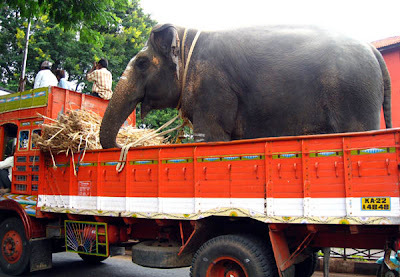 On this very day I got this picture taken on College Road, an elephant going for a ride in a truck. I pity the massive animal. This is a shameful act at least on such a day where the whole world observes WORLD ENVIRONMENT DAY.